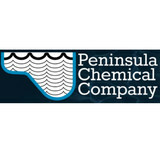 Peninsula Chemical Company has been serving San Mateo County with pride for over 34 years. Our family owned and operated business remains focused on one primary goal - keeping your pool in pristine condition while saving you money and time. The success of our company can be measured by our growth over the years and the satisfaction of our clients. We are proud that over 30% of our new business has been achieved through client referrals. We treat your pool as if it were our pool. From day one, our mission has been to provide quality and professional service to ourcustomers . We pride in satisfying our customers with quality results. During the time we have worked in the pool industry, we have gained the experience that allows us to exceed in our performance in order to get any job done efficiently and on time.You can rest assured your pool service is being cared by professionals. If you have any questions regarding our services please feel free to contact us at 650 771 8749. We look forward to hearing form you soon. Swimming pools and spas require very important pieces of equipment that require a level of maintenance that should be entrusted only to qualified pool professionals. As the quality and performance of these items advances so does the technology and required knowledge. Pumps, filters, heaters, solar, WiFi automation systems, salt systems, uv, ozone etc. require qualified and experienced personnel to properly diagnose, repair and maintain these items. Proper care, maintenance and diagnosis can help to prolong the life of these important pieces of equipment. 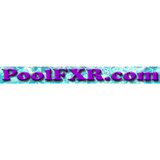 PoolFXR.com, formally Swimming Pool Repair, has been repairing pools and spas in the San Francisco Bay Area for over 20 years. We can often diagnose problems involving general pool repair, pumps, filters or heaters from a digital picture, thereby saving the expense of an unnecessary service call. 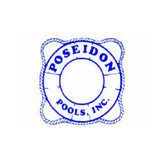 Searching for Swimming Pool Contractors in San Francisco, CA and the area? You are in the right place! Call us (415) 801-3410 or fill the application to get a Free Estimate ! 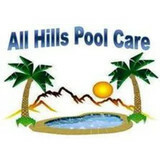 What should I look for when hiring a pool cleaning service in Half Moon Bay, CA? Pools and hot tubs are big investments, so you’ll want to make sure to protect them by hiring an expert who cares about them just as much as you do. Check that the Half Moon Bay swimming pool maintenance service you are interested in actually specializes in the type of pool you have — chlorine and salt water pools have very different needs, and in-ground versus above-ground pools will require different upkeep and repair methods. Also, know who will be doing the repair or service; if it’s one of the larger swimming pool services in Half Moon Bay, CA, request that you get same person every time, otherwise you could get inconsistency in treatments. Good Half Moon Bay pool professionals will keep a consistent schedule and log everything they do so that it can be referenced in the event that you switch companies or something does go wrong. Like any other professional, look for local pool cleaning companies near you with plenty of good reviews and relevant experience. Find a Half Moon Bay, CA swimming pool repair and maintenance specialist on Houzz. Narrow your search in the Professionals section of the website to spa and pool maintenance companies in Half Moon Bay, CA and read reviews and ratings for pros in your area.